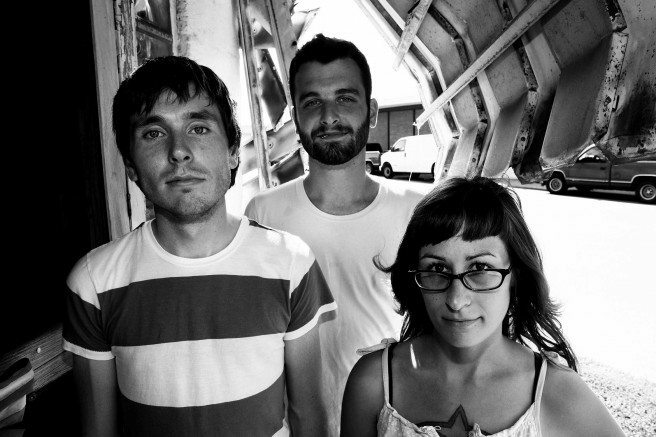 Lemuria, a garage/punk band from the ‘lost continent’ of Buffalo, N.Y. plays at House of Targ on Thursday, July 10. Driving Miss Daisy — the Pulitzer-prize winning play, which was made into an Oscar-nominated film starring Morgan Freeman and Jessica Tandy — comes to Ottawa Little Theatre. The division, tensions, and relationship between African-Americans and White Southerners during the tumultuous period of the 1960s play out in the relationship between a stubborn matriarch and her indomitable chauffeur. The play is on this weekend, with shows on Thursday, Friday, and Saturday — at 7:30 p.m. all three nights — and runs until July 26. Tickets from $25. Ottawa Little Theatre is at 400 King Edward Ave.
We’ve all heard of Plato’s lost city of Atlantis, but what about the lost continent of Lemuria? Once thought to have existed in the Indian Ocean, Lemuria or Mu (or the ‘motherland of Mu’) was believed to have been the missing land-bridge that connected Madagascar with India. Like the ‘lost continent’, the three-member group Lemuria, which hails from Buffalo, N.Y., sounds like something from the past too — perhaps The Lemonheads, or Superchunk. Like these 90s bands to which Lemuria cites as influences, their sound is made up of girl/guy vocals combined with guitars and drums to create a garage/punk sound with surprisingly ‘pop’ lyrics — all of which is combed over with a low-production feel. Catch them at House of Targ on Thursday, July 10.$10 advance; show’s at 10 p.m.
House of Targ is at 1077 Bank St. Believing that “art is not a tool for social change, but social change itself,” queer Spanish artist Coco Riot creates ‘social change’ through his art, incorporating mural, on-site 3D installations, and sculpture to connect with the viewer’s everyday experiences and create an emotional response. On Friday, July 11, Orange Gallery will be unveiling a mural by Coco that challenges gender-based violence. Local arts activists and groups, including Artswell will, in connection with this event, be holding workshops from 4 p.m. to 8 p.m. Art Is In Bakery will also be serving light refreshments. Orange Gallery is at 290 City Centre Ave.
Me and my gut are currently on a hiatus from beer — but that doesn’t mean you should be. Especially during this season of seasons for beer drinking. Manotick’s Watson’s Grist Mill, a working flour mill from the 1860s, will be host to a craft-beer event on Friday, July 11 from 7 p.m. to 11 p.m. Sample beers from local craft breweries, snack on tasty treats paired to select brews, enjoy some jazz, and converse with other beer enthusiasts and bring your questions for a Q&A session with brew masters. Tickets are $35. For more details, follow the event (there may be some last minute changes) on their Facebook site. Watson’s Mill is at 5525 Dickson St., Manotick. Comedian Kevin James and I haven’t gotten off to a great start. He was mentioned, strangely, during our wedding ceremony by the minister in an off-the-sleeve reference to Hitch; I suffered through James’ starring role in Mall Cop on an airplane; and in some forgetful fit, I rented Grown Ups (which also stars James) on an adolescent idea that Adam Sandler was funny — he isn’t. But hey, comedy is subjective. And so, if you want to catch James in a non-Hollywood setting (I’m betting he’s much funnier on-stage), he’ll be bringing his ‘hilarity’ to the National Arts Centre on Saturday, July 12. Tickets are from $59. Show’s at 7 p.m.